Going from the peanuts that the Big East gave out to the big time money of the Big 12, this is a no brainer. One of the biggest areas in which WVU has seen growth, is in conference revenue. In the first fiscal year that WVU was a member of the Big 12, WVU earned $10,354,499 in conference revenue. This number was up four-percent from the conference share it earned during its last fiscal year as a member of the Big East. What’s notable about this increase, is that WVU is not receiving a full share of Big 12 conference revenue. 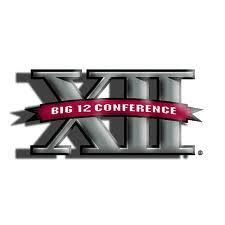 It will not receive a full share of Big 12 conference revenue until 2016-17. That WVU is able to bring in more conference revenue in the Big 12 without receiving a full conference share, signals the value of its move from the Big East to the Big 12. ”With the move to the Big 12, we have seen all of our financial metrics move forward,” Luck noted. Another area in which WVU has seen revenue growth since moving to the Big 12, is contributions. In its first fiscal year as a member of the Big 12, WVU brought in $1,164,503.00 more contributions than it did in its last year as a member of the Big East. According to Luck, WVU set a school record for fundraising donations last year during its first year as a member of the Big 12. While the move to the Big 12 has generated increased revenue for WVU, another move WVU made in 2011 is paying off financially. That decision–to sell beer at home football games–has brought WVU significant revenue since 2011. For the 2011 football season, WVU had a 50-50 split with its concessionaire for revenue generated from beer sales. That year, WVU earned $516,551.41 from beer sales, with the top-selling game being the Mountaineers’ game against LSU. WVU’s home game against LSU, which was attended by 62,056 people, generated $120,469.81 worth of beer sales revenue for WVU.